The Silicon Valley model of entrepreneurship is often celebrated. However, Mr Aral Balkan takes issue with the business model underpinning tech-based start-ups, termed "surveillance capitalism", in which technology companies monetise the data captured through monitoring their users' online behaviour. The co-founder of Indie, a social enterprise striving for social justice in the digital age, says that supporting sustainable businesses is in the common interest - arguing that the world needs "stay-ups", instead of Silicon Valley's disposable and surveillance-based "start-ups". He also maintains that the antidote to surveillance-based Big Tech is "Small Tech" made by humans for humans. Mr Balkan is one of the speakers due to take part in this year's Straits Times Education Forum on April 6, which will discuss the motion "Entrepreneurs today do more harm than good". He will be joined by social entrepreneur Sumitra Pasupathy, the country head of Ashoka, a global organisation that promotes social entrepreneurship, who believes it can benefit the greater good. Also arguing for the good that entrepreneurs do will be Singapore Management University (SMU) provost-designate, Professor Timothy Clark, and SMU associate professor of strategic management Reddi Kotha. This year's forum will include two junior college students and alumni from Ngee Ann Polytechnic and SMU. Like last year, those attending will be asked to vote for or against the motion at the start and end of the debate. The team that manages to swing more votes will be declared the winner. The debate will be held at the SMU School of Law Building in Armenian Street. SMU is ST's partner for the forum. SMU president Lily Kong said the university wants to encourage dialogues about the city and its community, contributing thought leadership and ideas. She said: "We are delighted to have in The Straits Times a like-minded partner as we bring entrepreneurs, industry leaders, students and academics together to discuss timely issues of global importance such as what the role of modern day entrepreneurs should be, and if they are still creating value for the people whilst remaining profitable. "Now in its fourth edition, the forum continues to be one of the anticipated events across the higher education landscape in Singapore." 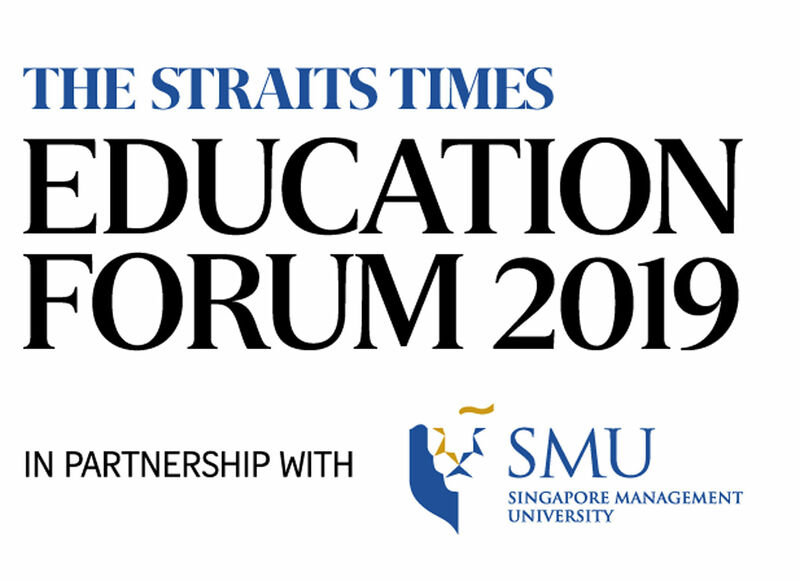 The Straits Times Education Forum is supported by the Singapore Management University. Mr Warren Fernandez, editor-in-chief of Singapore Press Holdings' English/Malay/Tamil Media Group and editor of The Straits Times, said: "Every issue can be seen from a range of perspectives, and debates offer a good opportunity to ponder these. "This is why our series of debate-style forums has been so popular, and this one promises to be no different. Entrepreneurs do much good, but the downsides are also evident, so we should have a good discussion." The debate will be moderated by ST Opinion editor Chua Mui Hoong.